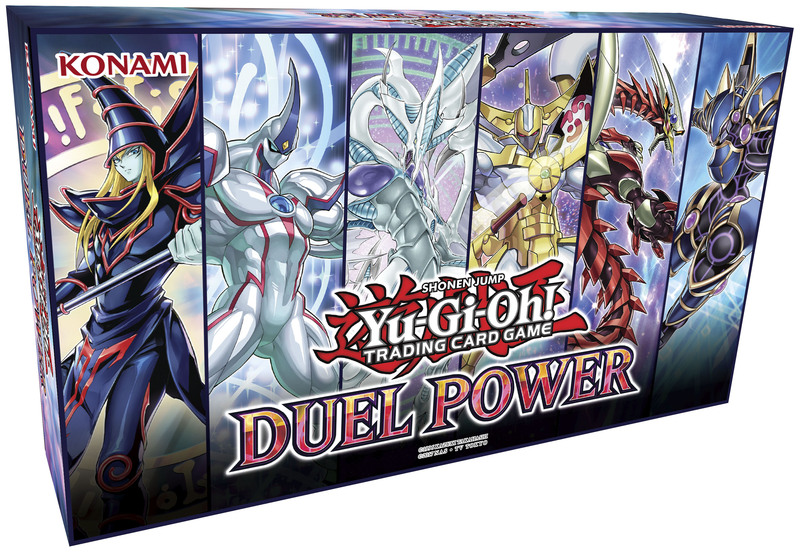 We’re excited to share some NEW details on a new upcoming product releases for Yu-Gi-Oh! TRADING CARD GAME this month. In our previous news post we announced that launching today, April 3rd, is Duel Power, an elite collection of 100 Ultra Rares that include 40 brand-new cards destined to shake up every level of competition, plus 60 of the strongest and most sought-after cards in Dueling today. 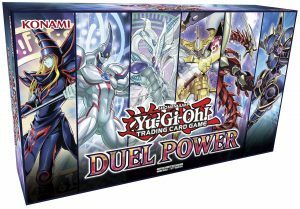 Each Duel Power collector’s set comes fully loaded with six Duel Power booster packs with 5 Ultra Rare cards per pack. 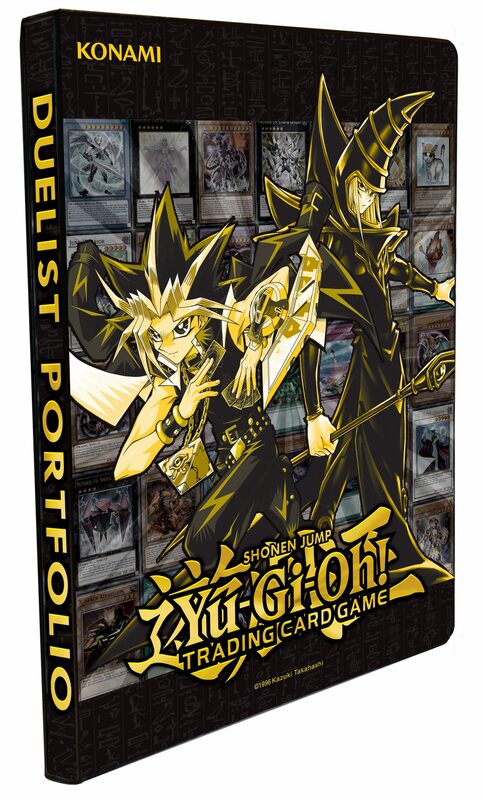 Next, hitting shelves on April 5th, the Golden Duelist Collection Duelist Portfolio, which includes 10 pages with 9 card pockets per page, features an exclusive glittering foil finish, unique to the Golden Duelist Collection. Today’s update adds that on April 19th, 2019, Duelists will be able to get their hands on Structure Deck: Order of the Spellcasters, loaded with all the arcane opportunities they’ll need to mount their magical conquest! 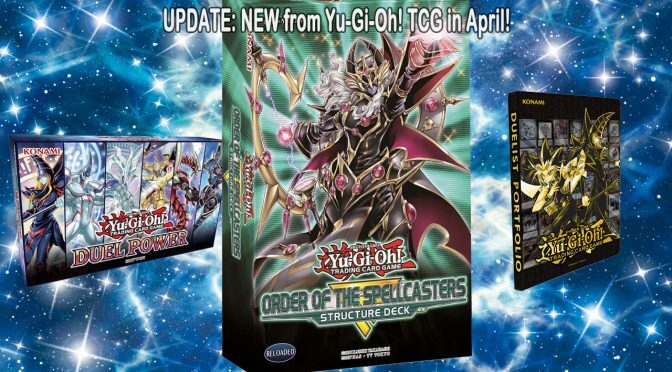 Structure Deck: Order of the Spellcasters will include 1 Beginner’s Guide, 1 Double-sided Deluxe Game Mat/Dueling Guide, and 42 cards total: 37 Commons, 3 Super Rares, and 2 Ultra Rares. In addition, all-new Yu-Gi-Oh! ZEXAL episodes every Tuesday as well as all of classic Yu-Gi-Oh!, Yu-Gi-Oh! GX, and Yu-Gi-Oh! 5D’s can be seen on www.yugioh.com in the United States. In Canada, Duelists can watch episodes of Yu-Gi-Oh! ARC-V every Friday and Saturday on Teletoon! KONAMI is a leading developer, publisher and manufacturer of electronic entertainment properties and traditional trading card games. KONAMI’s software titles include the popular franchises METAL GEAR SOLID, Silent Hill, DanceDanceRevolution and Castlevania, among other top sellers. 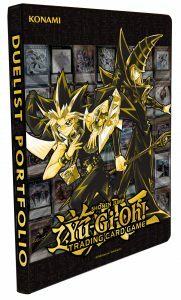 KONAMI is also the manufacturer of the wildly popular Yu-Gi-Oh! 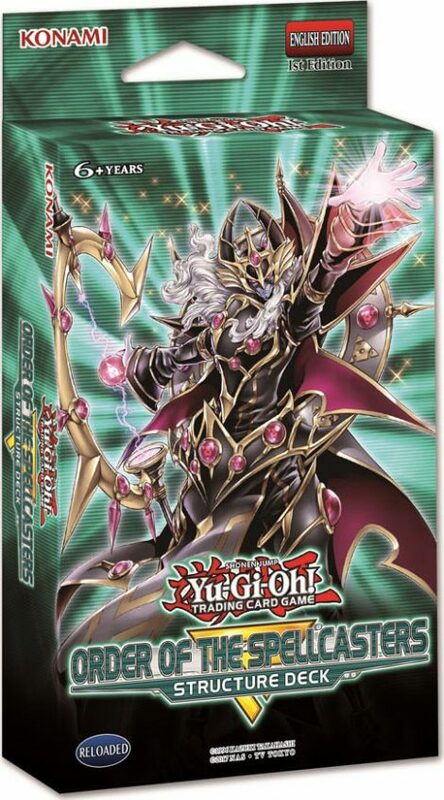 TRADING CARD GAME, which has sold more than 25 billion cards worldwide. The latest information about KONAMI can be found on the Web at www.konami.com.